Start fresh. Give your shower a summer makeover. If you’ve been using the Azulene Body Soap all year long and now crave a seasonal pick-me-up, try our A.H.A. 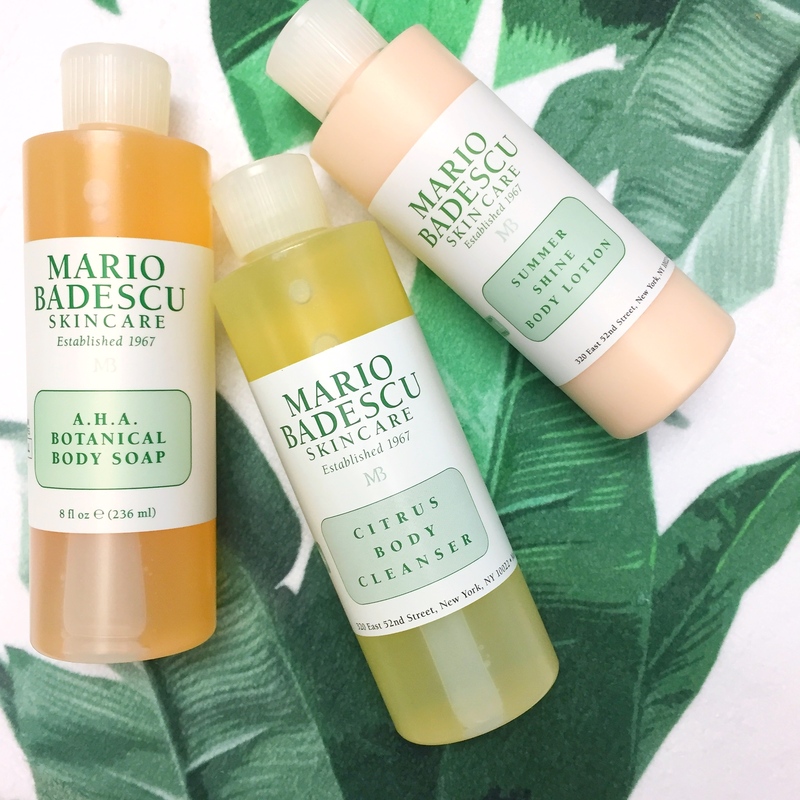 Botanical Body Soap or Citrus Body Cleanser. Both are infused with rejuvenating fruit extracts that leave you feeling exceptionally clean and refreshed. Shed the old. Literally and figuratively. For brighter, smoother, and softer skin from head to toe, exfoliate one to three times a week. (Botanical Exfoliating Scrub is double-duty: use it on your face and body, too!). If you’re experiencing bumpiness or breakouts on your body, skip the granular scrub and opt for Glycolic Foaming Cleanser (one to three times a week) on those areas instead. Shave if you want. Or don’t; it’s not prescriptive. If you’re in the mood, stock your shower with a jar of Pre-Shave Conditioner and Shaving Cream to help give you a closer, smoother shave. Definitely indulge though. Can’t make it to the beach? No problem. Seaweed Bubble Bath & Shower Gel is a staycation essential that smells divine. Whether you use it as a shower gel for a 5-minute quickie or for a TLC bath, it’ll bring the beach to you. Whenever, wherever. Stay hydrated. Inside and out—but since we’re talking skin, let’s stick with your must-have body moisturizers. Post-sun and shower, you want to make sure your rehydrate your skin. Opt for Vitamin E Body Lotion for lightweight hydration that let’s you slap it on and go, but if you’re after a moisture-intensive treatment, reach for Super Rich Olive Body Lotion. Equally as important: stay safe. Which means SPF from head to toe. Be sure to apply 15-20 minutes before heading out and re-apply often. Don’t forget your hands and feet—Oil Free Moisturizer SPF 30 works well on-the-go for those areas. Fake it ‘til you make it. No tan, no problem. Try a gradual self-tanner or recreate a sun-kissed glow with Summer Shine Body Lotion. Emphasize and rock what you got. Take that body to the beach. Glow on.